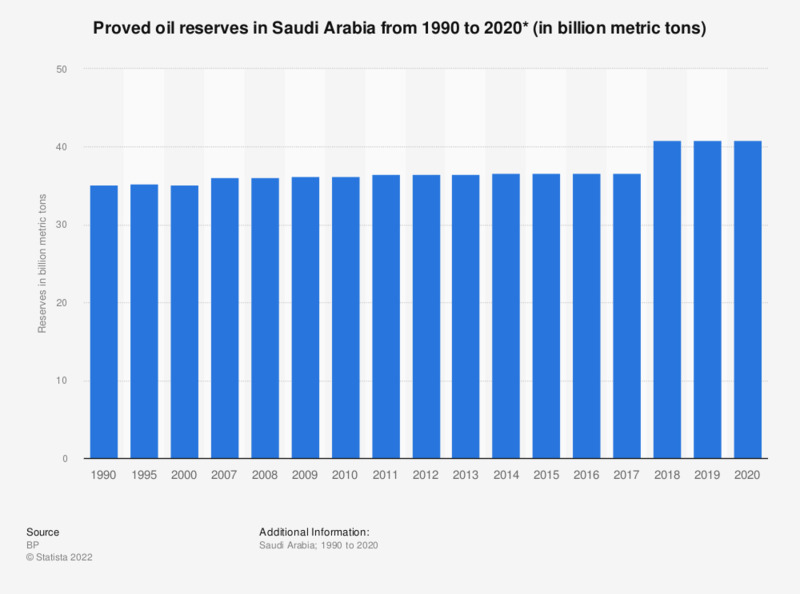 This statistic shows the proved oil reserves in Saudi Arabia from 1990 to 2017. In 2017, Saudi Arabia's oil reserves amounted to 36.6 billion metric tons. Saudi Arabia has one of the largest oil reserves in the world, accounting for about one-fifth of the world's conventional oil sources. Figures prior to 2009 were taken from the Exxon report "Oeldorado 2009". Figures for 2009-2016 were taken from "BP Statistical Review of World Energy" (editions 2010-2016). For the purpose of clarity, figures have been rounded.